The Grace Darling Hotel was built in 1854. 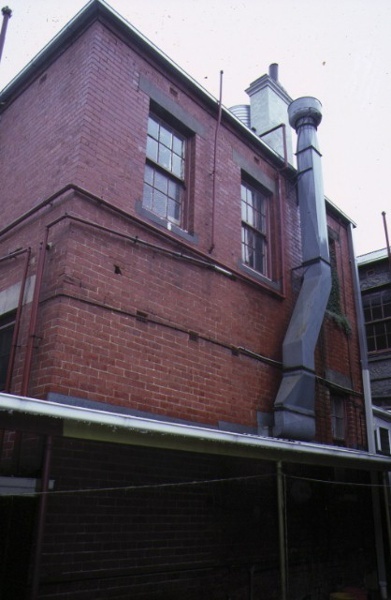 The two storey building was constructed of bluestone and rendered brickwork with feature sandstone window surrounds. The Grace Darling Hotel is of historical and architectural significance to the State of Victoria. The Grace Darling Hotel is of historical significance as one of the few remaining 1850s goldrush era hotels left in inner Melbourne. The early date of its main structure gives the Grace Darling Hotel great importance within the Collingwood district, one of Victoria's earliest industrial suburbs. During the 1850s, the majority of Collingwood buildings (unlike those in Melbourne and Fitzroy) were constructed of wood. The few substantial brick or stone buildings were hotels or churches. The Grace Darling Hotel provides a striking remnant of these early years of Melbourne’s suburban development and an excellent example of an early stone building in Collingwood. 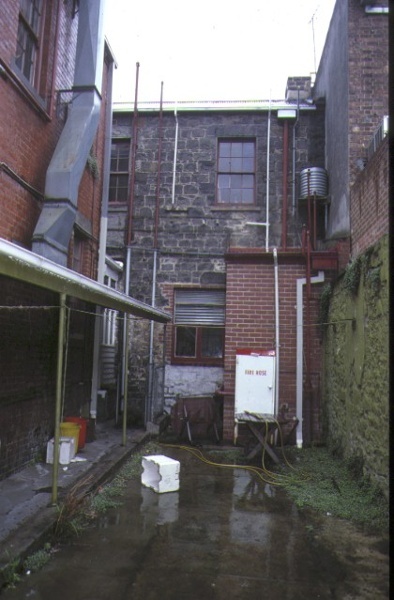 The Grace Darling Hotel is of historical significance for its associations with the Risby and Gellibrand families, notable in Tasmanian politics, the early Tasmanian building trade and its pioneer newspaper industry. The Risby family owned the property from 1852 to c1870. 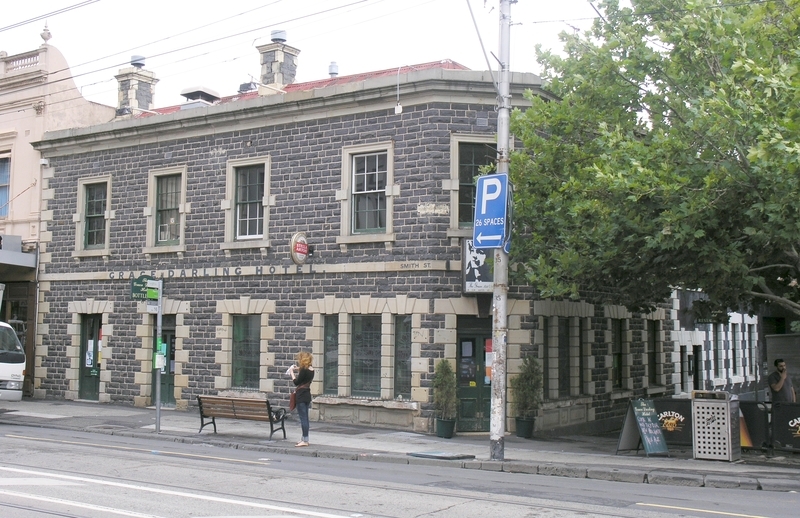 The Grace Darling Hotel is of historical significance as the venue of the inaugural committee meeting of the Collingwood Football Club in 1892, at which a decision was made to form a football club to play in the new Victorian Football League. 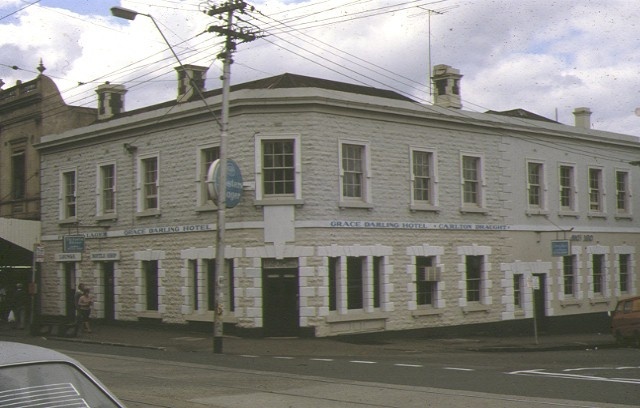 The use of a hotel for such purposes was not unusual, pubs serving important social and community functions in the absence of other venues and institutions in early Melbourne. The Grace Darling Hotel is of architectural significance as a rare type of early hotel and for its association with the architect George Wharton. Built in 1854 in bluestone with Tasmanian dressings, it is one of a very few colonial hotels of this type still surviving in Melbourne. Wharton was an important early Victorian architect who later became the President of the Victorian Institute of Architects. He was one of the designers of the very significant Rushall Park Old Colonists Homes. One of the more unusual buildings for which he was responsible was the Chinese Temple in South Melbourne. The Grace Darling Hotel is of architectural significance for its associations with the distinguished firm of Sydney Smith, Ogg and Serpell, who designed the sympathetic 1920s red brick extensions as well as minor alterations at the turn of the 19th century. Historic Building No. 660 The Grace Darling Hotel, 114 Smith Street, Collingwood to the extent of the whole of the buildings and the whole of the land described in Certificate of Title (Volume 9527 Folio 163).